Powered by the strength of a high quality, full color, home improvement & lifestyle magazine, and fueled by an interactive visual web platform, email marketing and social media channels, 360 HOME Magazine and 360Charlotte.com have joined together to provide its clients with a comprehensive, Home Improvement Marketing Program that’s guaranteed to deliver more leads, more appointments and more results every month. Our direct mail product is supported by a very powerful suite of electronic marketing tools that include an advertiser focused web platform to showcase your business, Twitter, Facebook, weekly email and mobile marketing---all built into a one marketing program. No other local magazine or direct mail product offers such a powerful combination. 360 HOME Magazine is the most widely viewed home improvement and lifestyle magazine in Charlotte. 360 HOME Magazine is a magazine format, “ad only” direct mailer, reaching over 1,500,000 homes through twelve (12) mailings each year. This gets mailed to homes worth $300,000+ with an average household income of $109,000. 360Charlotte.com is the premier internet marketing tool for Charlotte businesses and has been designed to be a valuable resource to online consumers. 360Charlotte.com is your link to Charlotte restaurants, home improvement, attractions, night life and much more. 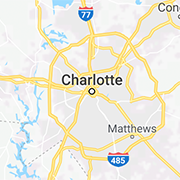 Check out Charlotte area events on the Charlotte event calendar. Print Charlotte coupons in the specials and coupons area. 360Charlotte.com is a great place to showcase your business while driving traffic to your own web site.